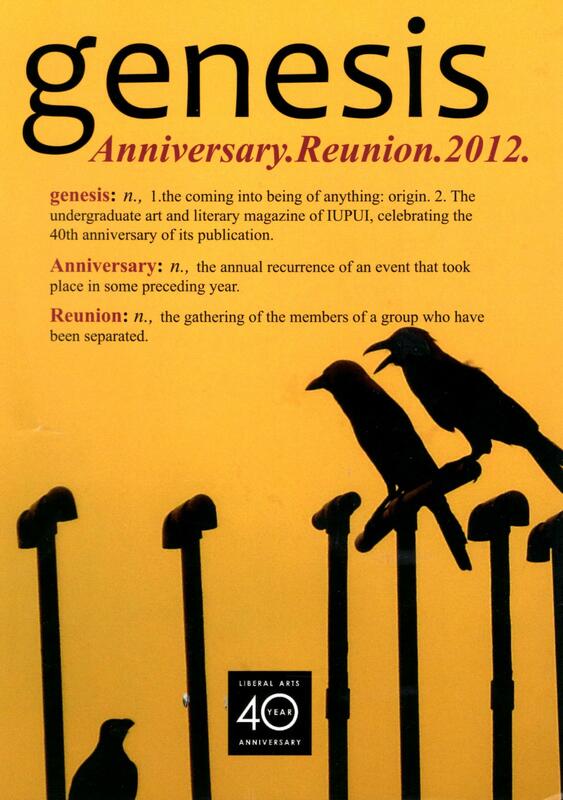 If you have some spare time on Tuesday April 17, 2012—oh, say around 5:30 p.m. and you’re downtown in the vicinity of IUPUI—please stop by the Ruth Lilly Auditorium to celebrate the 40th anniversary of genesis Magazine. I’ll be reading an excerpt from my short story, “Mums,” which was selected for the anniversary installment. Following the release party, readers, writers, critics, reunioneers, audience members, and hecklers are invited to an after-party of sorts at Our Den located at University Place.